Note: 18% GST is extra as Applicable. Cinema Advertising is one of the most prominent way to meet up your targeted audience and advertise your Brand and Business . Cinema Advertising Is 10 times better and effective than any other type of advertisement media. Cinema Advertising creates a Superior Influence on the Captive audience about the Brand through Best Picture Quality Collaborated With Colors, Motion And Sound . Unlike other media advertisements, Cinema Advertisement delivers strong brand recall creating a long lasting impact on your targeted audience. 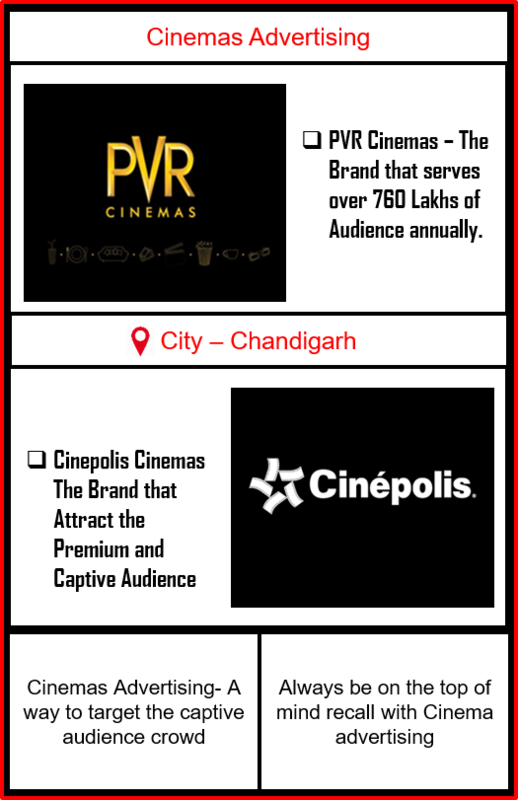 Cinemas reach out to massive audience from different demographic area which boosts up your brand expansion. Cinema Advertising helps to connect people on one to one basis making your brand advertisement an evergreen impact. With best sound quality and clarity, People love to watch ads which personally connects your brand to them. Wide Reach With Over 711 screens,153 Cinemas in 60 cities in 19 states. Captive Audience initiated to spend on premium products. Having the Best-In-Class facilities directly inviting the audience of all age groups. PVR Cinema serves over 760 lakhs of audience annually. WHY ADVERTISING IN CINEPOLIS CINEMAS? Nation Reach with over 339 screens across 33 cities in India. 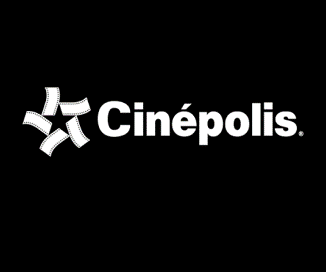 Having the Loyal audience base with its Club Cinepolis Feature. 4Dx and Cinepolis VIP Hubs to attract the Premium and Captive audience. Huge ROI as cinepolis serves 330 lakhs of audience annually.